We all love our cats and dogs. Most of us let them into our homes, some of us allow then free run of certain parts of the house and furniture. The above photos are from a sofa that I recently cleaned. The first shows the amount of cat hair that I removed from the fabric pile of just one arm of the sofa. 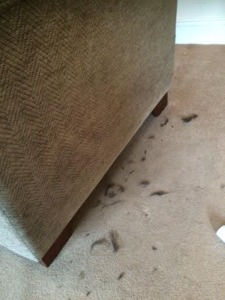 On first examination the sofa didn’t look that dirty but it soon became apparent that the pet cat had been using it as a scratching post and in doing so had managed to deposit its oily coat deposits all over the fabric. The second photo shows the soiling that was recovered from around the bottom of the sofa. 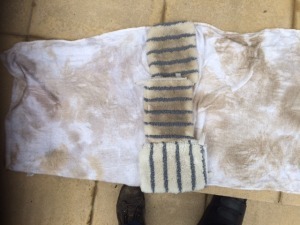 We use a fantastic cleaning solution that is not only great at upholstery cleaning but also deals with the bacteria left in the fabric that can cause pet odours.